Hey guys! 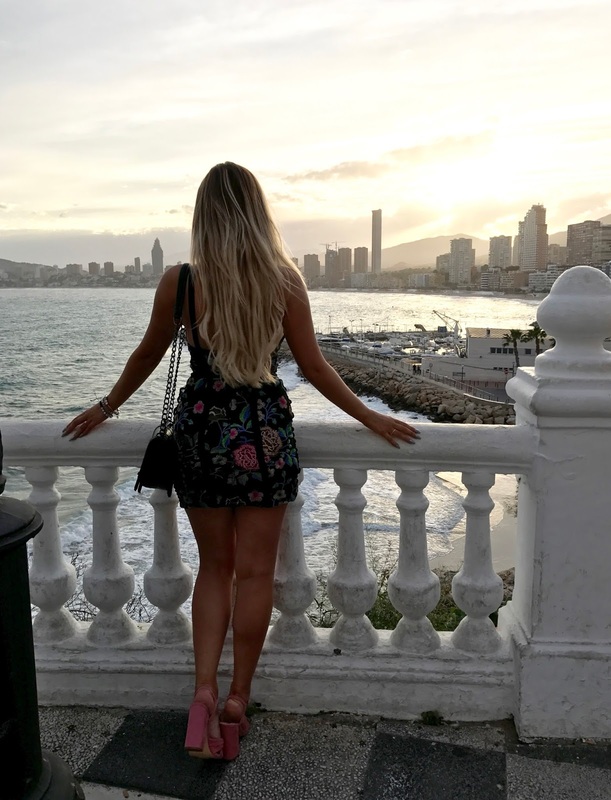 So you may have seen that I was recently taken to Benidorm with Jet2.com and five other lovely bloggers for three days of fun and exploring. We had the best time over there and packed so much into the three days so I thought it'd be nice to document the trip and share exactly where we stayed and what we did as I’ve had so many questions about it since posting on social media. I can't possibly fit all the info into one post so I'm going to do three - one for each day of the trip. 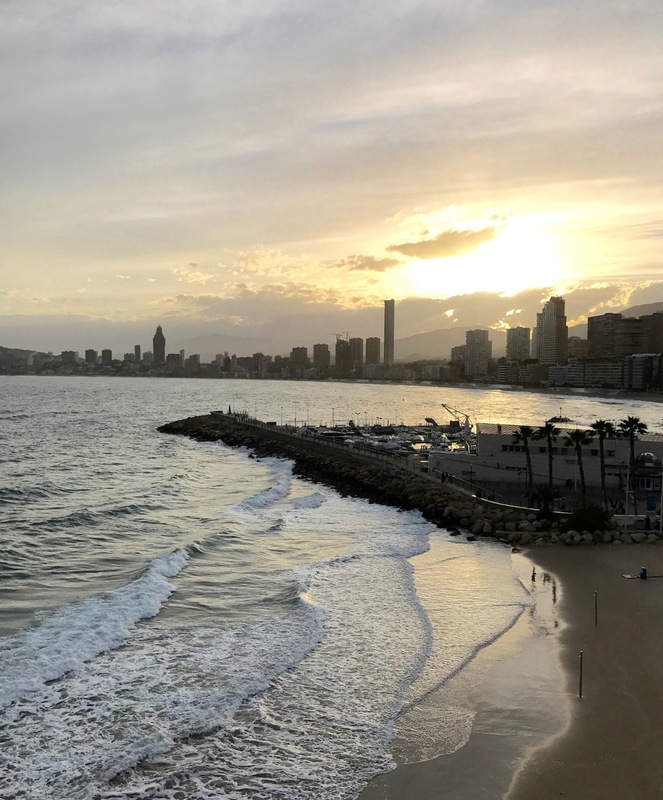 I have to admit, I was a little bit cautious about going to Benidorm when I first received the invite as it doesn't have the best reputation for idyllic holiday destination with it often only associated with hen/stag dos and the type of place you go when you want to party and enjoy a bit of a rowdy night out. However, Jet2 assured us that this trip wasn't going to invoke clubbing on 'the strip' and would instead highlight a nicer side of the city that isn’t often shown or talked about. 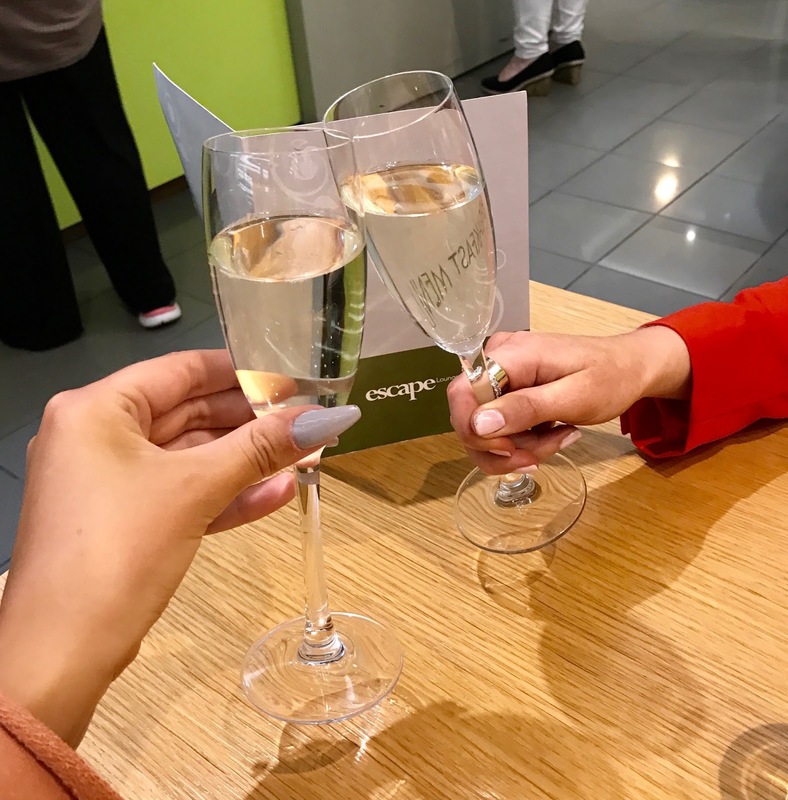 I flew on an early morning flight from Manchester with the lovely Emma from The Emasphere and we enjoyed a cheeky glass of prosseco in the Escape lounge before our flight - this is really worth booking if you like to have a few drinks and something to eat before you fly as it only costs £22.50 for unlimited food, drinks and wifi. If it hadn’t been so early in the morning, I think I’d have definitely been making the most of that unlimited bar - it’s the perfect way to start any trip. The flight was quick, smooth and really enjoyable. I never used to like flying but the more I do it, the less it worries me and I now find it quite a fun experience - something I never thought I’d hear myself say. Jet2 is definitely my favourite low cost airline to fly with (not being biased I promise - I book with them regularly for my getaways) as I feel they’re really well priced for such great flight times, have way more leg room than other airlines I’ve flown with and a very generous 22kg baggage allowance. 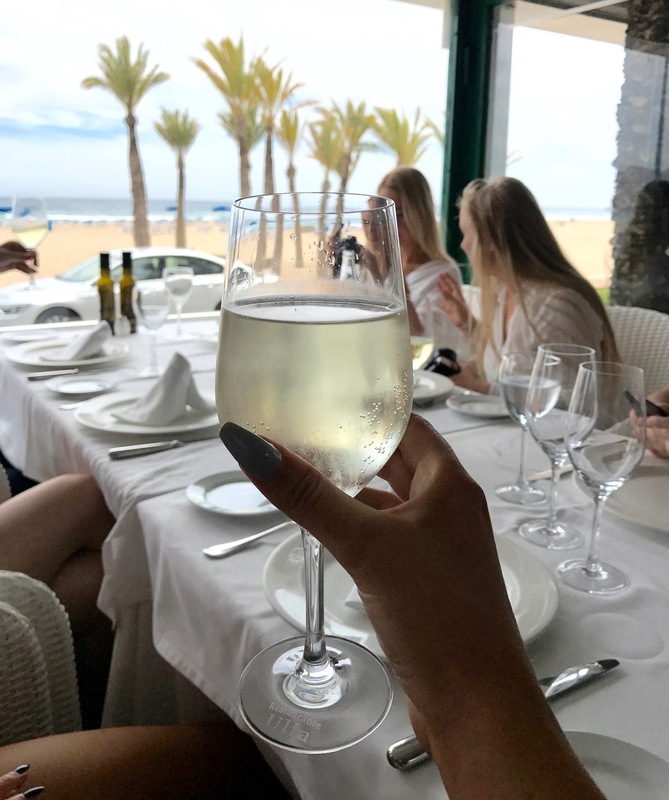 The service is great too - after enjoying a couple more prosecco’s from the in-flight service, we landed in a sunny Benidorm. (Get my playsuit here and use KAYLEIGH15 for 15% off). 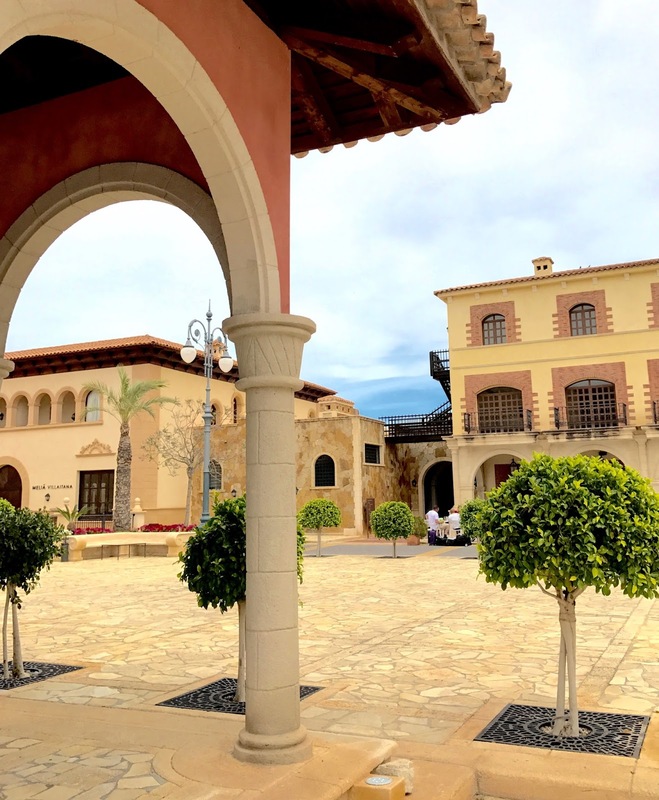 Jet2 had arranged a private transfer to pick us up from the airport which is a perk when booking one of their Jet2holidays and after around 20 minutes in the car, we arrived at the stunning Melia Villaitana hotel to meet up with the other bloggers and the Jet2 team. If you were following my snapchats / Insta story during the trip, you’d have seen just how amazing this hotel was - the amount of people I had messaging me saying they couldn’t believe it was in Benidorm was crazy and I felt exactly the same way. It was so pretty, luxurious and most importantly, chilled - not what I’d pictured a hotel in Benidorm to be like whatsoever. I’ll talk more about it in one of my other posts as we spent a full afternoon relaxing there on day three! After checking in to our beautiful (and huge) rooms, we freshened up and headed to reception to meet up with Sergio who was our tour guide for the trip. He was showing us the best bits of Benidorm on behalf of Visit Benidorm who are the go-to people when you want to know the best of the best places to visit in the city. 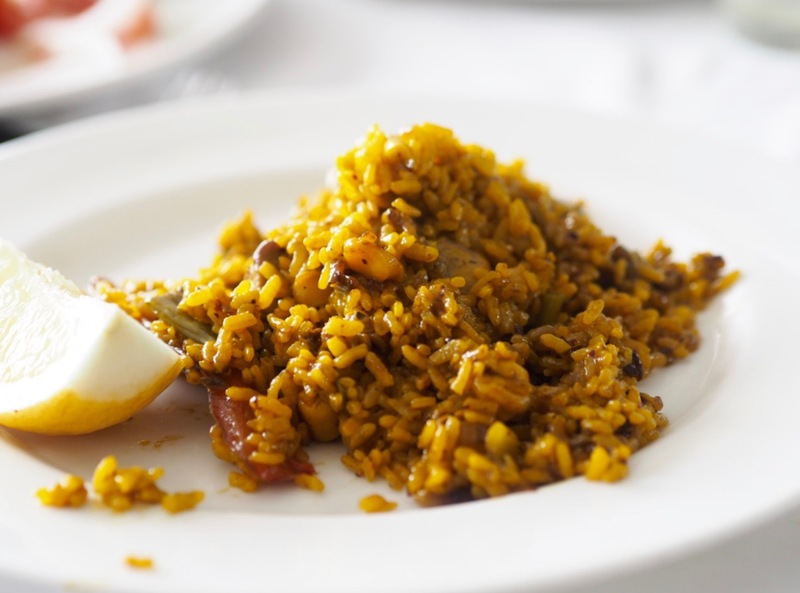 Our first port of call was a beautiful paella lunch at Ulia Restaurant which overlooked Poniente beach. As you can see from the photos, the beach was so pretty and was made even better by the glorious weather. 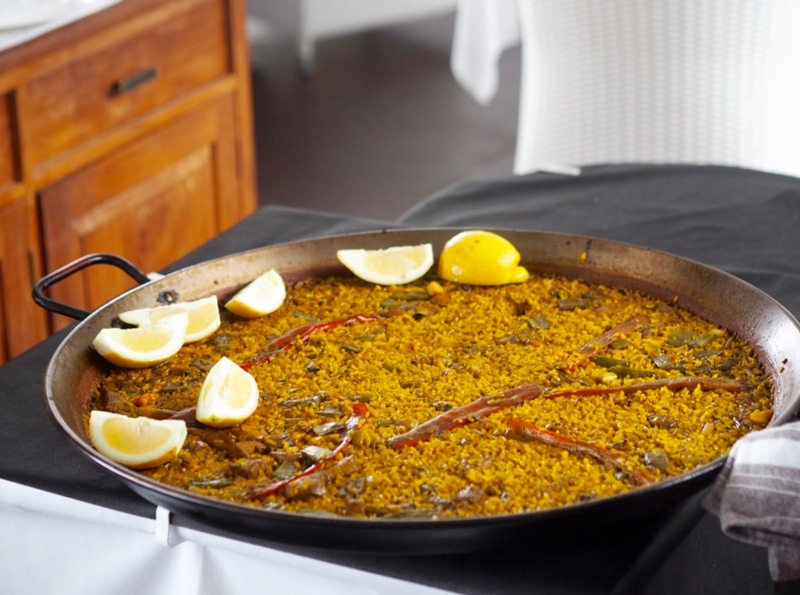 The perfect setting to enjoy an authentic Spanish paella - yum! After lunch, Sergio told us we’d be going on an electric bike tour and I honestly had no idea what to expect. 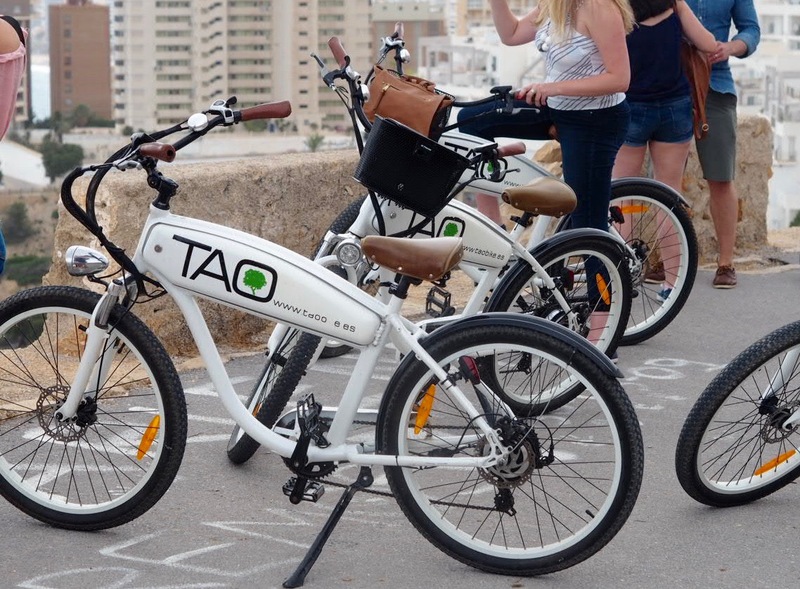 We headed to a place near Leavante beach called Tao Bike to hire the bikes which cost 12 euros for 2 hours use. We were shown how the bikes worked, given a little test run and then off we went to explore more of Benidorm. Honestly, this was hands down one of the most fun things I’ve ever done. With one small pedal, the bike picks up speed and you don’t have to put much effort in at all - it's definitely one for the thrill seekers as the more you pedal, the faster it gets. 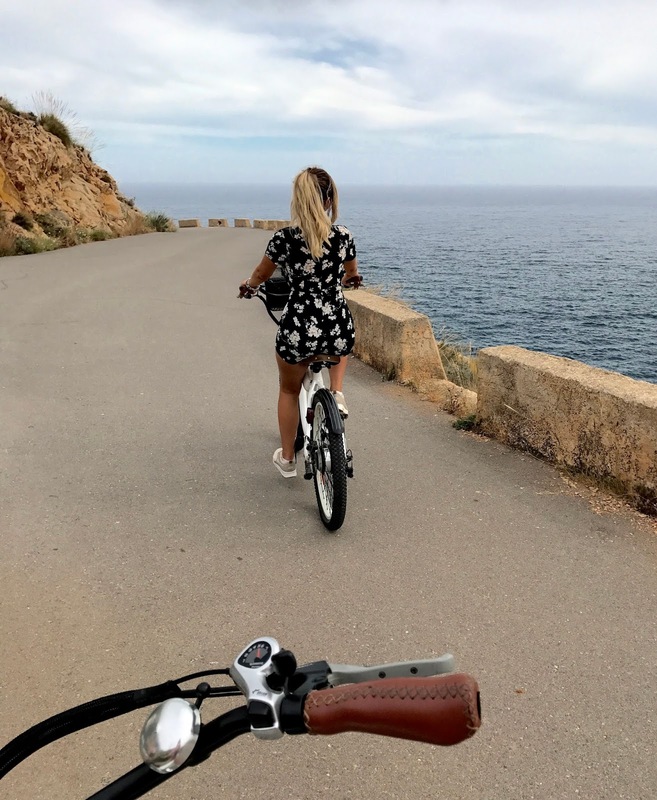 We rode them up the side of a cliff with a few stop offs to take in the amazing views of the city and it was just perfect. I already want to do it all over again and have been telling everyone I can how much fun it was - I can’t recommend it enough. 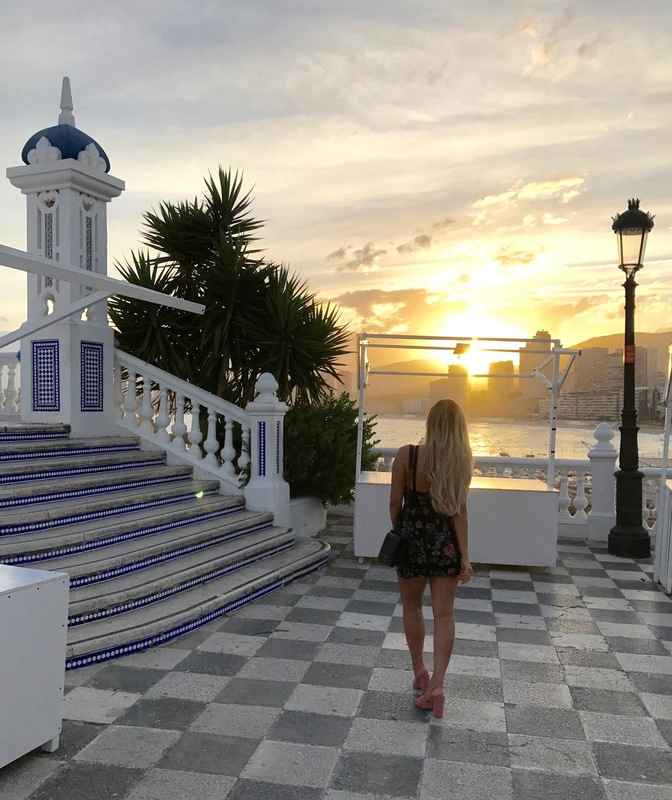 After taking in the views we headed to the restaurant which is situated inside the 5* Magic Villa Venecia hotel - as you can imagine, it was pretty swanky. We were given a lovely set menu of seven courses which really reasonably priced at only 40 euros per person. 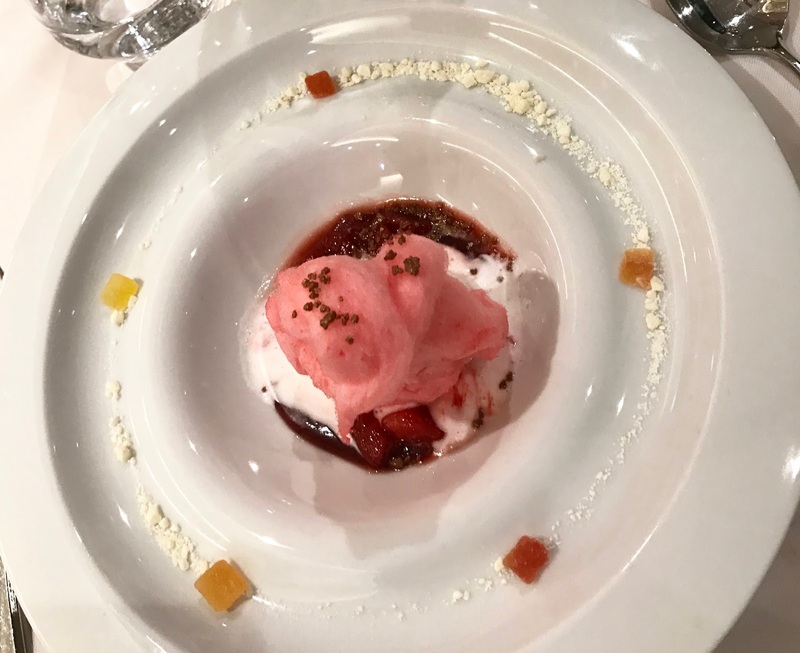 My favourite course was the sea bass with wakame seaweed and the candyfloss dessert - it was great to be able to try some new dishes I wouldn’t usually order. The meal was also accompanied by lots of delicious Spanish wine so I was obviously in my element. This would be the perfect setting for a couple who want to wine and dine over an intimate dinner while taking in some amazing views. 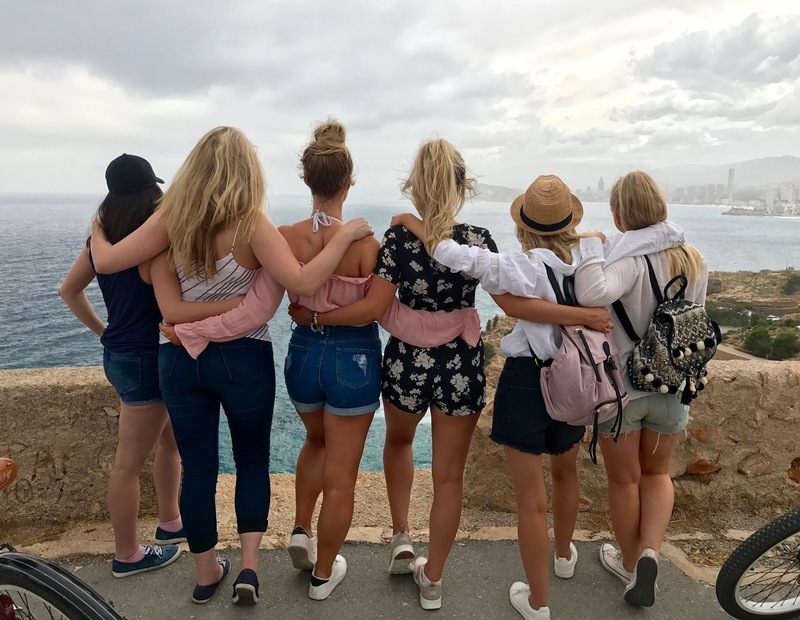 So that rounds up day one with Jet2.com and Visit Benidorm. I hope you enjoyed reading about what we got up to - it was a truly fabulous day. 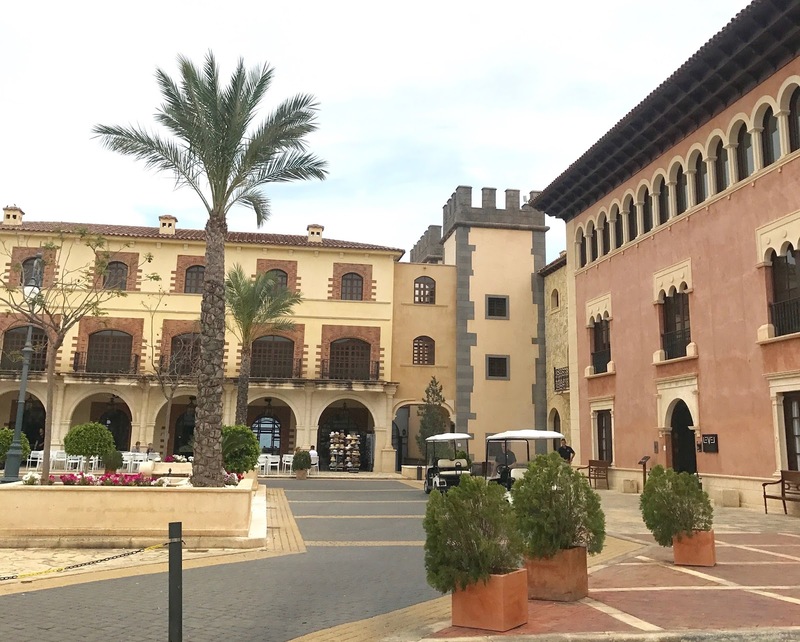 Day two will be coming soon so keep an eye out to read about more of Benidorm's hidden gems. This looks beautiful! Different to how I imagined Benidorm.